Product Description: Golden Monkey or Jin Hou is a famous Chinese black tea whose leaves are said to resemble monkey paws. 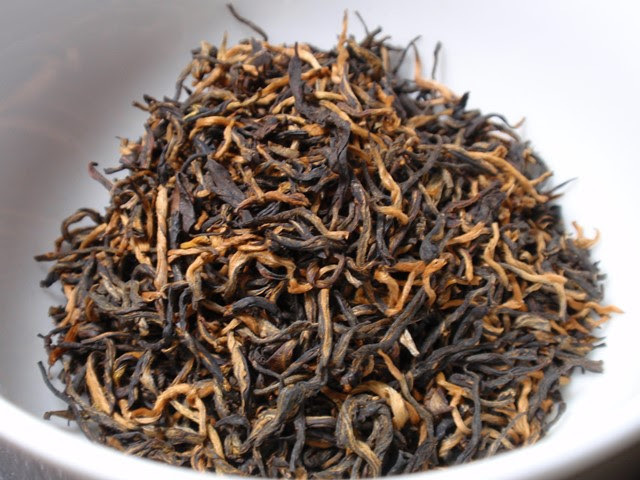 Golden Monkey originates from the Fujian province of China and is hand-processed each spring with careful plucking of only one leaf and one bud. This Golden Monkey is sweet and very "nosy": savory roasted apples, palm sugar, walnut, cocoa, rye and spice notes that linger as you sip. 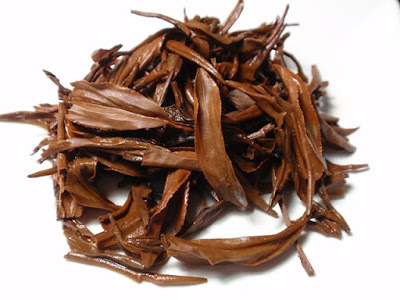 Rich, coating texture and very smooth, soft mouthfeel are both signs of a quality Jin Hou. This is a very complex black tea and can be enjoyed in multiple infusions, a real treat for black tea lovers. The dry leaves have an aroma of aged wood and oats, pepper, smoke, and dry grapes. The copper orange infusion has an aroma of baked apples, honey, green vine, and a hint of smoke. The taste is sweet, and woody with notes of caramelized sugar and low-to-mild astringency. The tea leaves unfurled quickly so much of the flavor came out in the first cup which is expected for black teas. 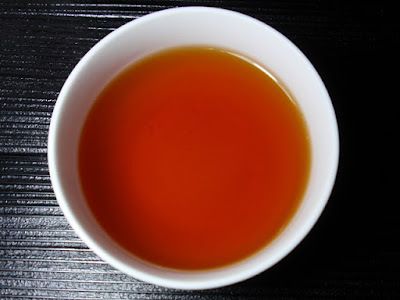 Subsequent infusions were moderately astringent and less nuanced in flavor, though the aroma in the second infusion did develop pleasant notes of baked persimmons and cinnamon.